A former UI professor with unexpected ties to the assassination of John F. Kennedy found refuge from history in Iowa. In the 50th anniversary year of that fateful and unforgettable day, here is the story of Earl Rose. PHOTO: THE DALLAS MORNING NEWS President Kennedy in the Dallas motorcade, moments before his assassination a half-century ago. The day dawned warm and gray in Dallas. Like he did every morning, Earl Rose took a crisp, white shirt from his closet and prepared for the commute to Parkland Memorial Hospital, where he occupied an office across from Trauma Room I. Rose, the Dallas County medical examiner, had settled into his usual Friday routine by the time Air Force One arrived at Dallas' Love Field at 11:37 a.m. President John F. Kennedy emerged from the plane, accompanied by his wife, Jacqueline, and walked toward a fence crowded with well-wishers. As they greeted cheerful Texans, Mrs. Kennedy accepted a large bouquet of red roses, which she took with her to the waiting 1961 Lincoln convertible limousine. Rain clouds gave way to blue skies. Texas Governor John Connally and his wife took their seats in front of the Kennedys, who settled into the back for an 11-minute motorcade through downtown Dallas. President Kennedy planned to speak at an event for civic and business leaders at the Trade Mart, and the motorcade departed Love Field at 11:50 a.m.—about the time that Earl Rose began to ponder whether to eat his lunch. Rose had moved to Dallas only six months prior, hired to establish a scientific, objective medical examiner's office to replace a system of lay coroners. These justices of the peace ordered autopsies but lacked the medical and forensic expertise critical to ensure proper criminal investigation and the administration of justice. Still new on the job, the 36-year-old Rose faced an uphill political climb to gain support for his role. Around noon on this particular Friday morning, Rose was less than an hour away from a defining moment in his career, one that would be talked about in news articles and in movies and around watercoolers for years to come. The remainder of his life could be categorized as "Before" and "After" this turning point in time, and the fallout would later follow him all the way to the University of Iowa—although he mostly refused to talk about it with anyone, not even his closest colleagues. The president's midnight blue convertible shone in the bright sunlight. As the motorcade passed into Dealey Plaza, Governor Connally's wife, Nellie, turned around in her seat, smiled at JFK, and uttered perhaps the last jovial comment of the day: "You can't say that Dallas doesn't love you." Seconds later, at 12:30 p.m., at the corner of Houston and Elm Streets by the Texas School Book Depository, shots pierced the air. A sniper's bullets struck President Kennedy in the neck and on the right side of the head. In an iconic scene that broke the nation's heart, a stunned Jackie Kennedy crawled onto the trunk of the Lincoln to retrieve a piece of her husband's shattered skull as the cars sped toward Parkland Hospital and into a collective American grief. PHOTO: THE DALLAS MORNING NEWS Trauma Room I, where both JFK and his assassin were treated by doctors at Parkland Hospital. Since dismantled by the National Archives and Records Administration, the original trauma room is now stored in an underground facility in Lenexa, Kan. When President Kennedy arrived at Parkland's Trauma Room I with a faint heartbeat, pandemonium, panic, tears, and chaos engulfed the hospital. Doctors did what they could to revive the president, but the damage was too massive. A Catholic priest administered last rites, and Kennedy was pronounced dead around 1 p.m.
At the time, no federal laws existed to govern the assassination of presidents. This homicide fell under the state's jurisdiction, and Texas law required that a thorough, impartial, investigative autopsy be performed at Parkland Hospital—by Earl Rose. Kellerman: "My friend, this is the body of the President of the United States, and we are going to take it back to Washington." Rose: "No, that's not the way things are. When there's a homicide, we must have an autopsy." Kellerman: "He's the President, he's going with us." Rose: "The body stays. There's a law here. We're going to enforce it." Kellerman: "We can't have that. He's the President of the United States." Rose: "That doesn't matter. You can't lose the chain of evidence." Other accounts suggest varying degrees of anger and aggression, including whether or not Secret Service agents brandished weapons to intimidate the medical examiner. Rose considered certain versions, such as William Manchester's book Death of a President, overblown with histrionics and most unflattering. In that 1967 best-seller, Manchester described Rose as "a pale, freckled, walleyed man in shirt sleeves, a man not plagued by self-doubt who could be an obstacle of formidable bulk if he chose to be—and he so chose. He worked himself into a white-hot anger and seemed to be in a tantrum. The blood had left his freckled face, giving him the complexion of cold oatmeal." 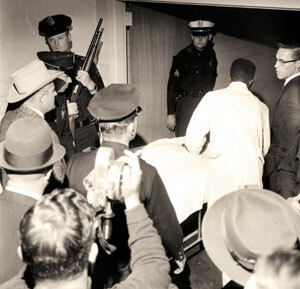 PHOTO: THE DALLAS MORNING NEWS Rose watches as the body of Lee Harvey Oswald makes its way to the morgue on Nov. 24, 1963. Rose later said he and the agent were simply two people prepared to express themselves strongly about what they thought was right; he never felt physically threatened. "I was brought up in western South Dakota. You may lose a fight, but you don't get bullied," he recalled in a 1992 interview with the Journal of the American Medical Association, one of the rare times he spoke of that horrible day. Some eyewitnesses recalled agents jostling Kennedy's gurney back and forth, pushing and shoving, and shouting expletives. But in every tale, the ending remains the same: Rose finally stepped aside, a pivotal moment that some historians consider an enormous lost opportunity for the country. "I felt it was unwise to do anything more to accelerate or exacerbate the tension," Rose told the journal of his decision to acquiesce. "There was nothing more I could do to keep the body in Dallas." From that day forward, Rose maintained his firm belief that the president's autopsy should have been performed in Texas, free from any perception of outside influences. In fact, he said removing the body was the first step in creating public disbelief about what actually happened—the first break in the chain of evidence that opened the door to persistent theories about conspiracy and cover-ups. Although Rose went on to perform three important and high-profile autopsies connected to that fateful weekend, he remains largely remembered for the one he didn't do. Says friend and UI colleague Charles Platz, former director of surgical pathology and now a professor emeritus: "Earl Rose was a highly competent, talented individual whose potentially most major contribution to history was denied him." Despite Rose's vigorous protests, Kennedy's coffin was whisked back to Love Field and placed aboard Air Force One. Before takeoff, a judge swore in Vice President Lyndon B. Johnson, who had been traveling with Kennedy, as the 36th President of the United States. Air Force One had landed in Texas with one president on board, but it returned to Washington with two. Around 8 p.m. that evening, doctors at the U.S. 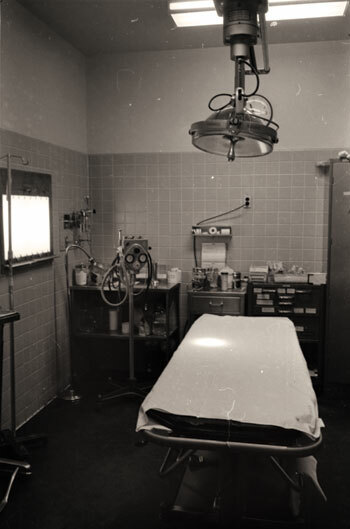 Naval Medical Center in Bethesda, Md., conducted the official autopsy on JFK. Back in Dallas that same night, Rose began his autopsy on Officer J.D. Tippit, shot by suspect Lee Harvey Oswald outside the Texas Theater 45 minutes after the assassination. Two days later, on Sunday, Nov. 24, as police prepared to transfer Oswald from city to county jail, nightclub owner Jack Ruby burst from the crowd in the basement of Dallas police headquarters and fatally shot him. Rose was called out of church that morning to conduct the Oswald autopsy, finding that he died from hemorrhage due to a gunshot wound to the abdomen but was an "otherwise healthy male." Four years later, he would perform the autopsy on a cancer-stricken Ruby who died in jail, determining that he perished from a blood clot in his lung. Rose kept many relics from that agonizing November weekend so firmly cemented in the American psyche. Neatly packed in boxes within the UI Main Library's Special Collections are the "Earl F. Rose Papers"—folders and containers bearing astonishing contents such as scalpel blades from the Oswald autopsy, an actual lock of Ruby's hair, toe tags from the bodies of both men, and a test fire bullet from the gun that killed JFK's assassin. Stacks of newspapers and magazines from 1963 and beyond, plus pages of personal letters and correspondence, reports and reviews—well into his years at the University of Iowa, Rose collected and maintained a voluminous record of the assassination and its ongoing investigations. Folders labeled "FBI Files on Rose," "Dark Humor," "Conspiracy Theories," and "Observations Based on a Review of Autopsy Photographs, X-Rays, and Related Materials of the Late President John F. Kennedy" reveal the depth of his study. Inside, several sheets of yellow legal paper contain his notes and drawings in the margins, including rough diagrams of bullet trajectory through Kennedy's body, the enduring doodles of an analytical, forensic mind. Rose also kept papers and reports from the JFK post-mortem, which he characterized as less than optimal. Although the naval pathologists defended the thoroughness of their autopsy in Bethesda, others claimed it was hurried, incomplete, and performed under limiting restrictions. Among those, the Bethesda pathologists did not know a Parkland doctor had performed a tracheotomy on JFK, and they did not have his clothes to examine (which would have helped them better track that second bullet). PHOTO: THE DALLAS MORNING NEWS The body of John F. Kennedy arrives at Love Field for the somber journey home. 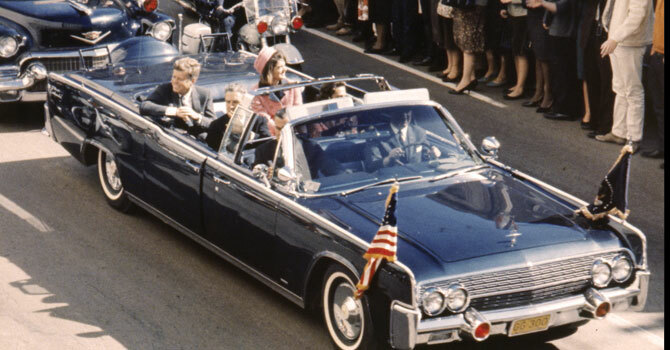 Nonetheless, the Warren Commission investigation, organized by President Johnson to probe the assassination and its complexities, accepted the autopsy's findings that a single gunman shot three bullets, two of which hit President Kennedy from above and behind. One bullet missed its mark, one struck him in the neck, and another shot to the right side of his head caused catastrophic brain damage. Although he may have had concerns about the Bethesda autopsy, Rose agreed with the commission's findings—a position strengthened further after his participation as an advisor to the U.S. House Select Committee on Assassinations, a forensic panel assembled in 1976 to review and confirm the authenticity of original JFK autopsy photos, X-rays, and other related documents. By 1968, Rose felt the time had come to move away from Dallas. He left Texas for a fresh start in Iowa, supposedly to become the state's first medical examiner. When he arrived, he discovered no funding existed; so, he went ahead with a faculty position in the UI pathology department, where he directed autopsy services and provided forensic pathology instruction. His lectures for students and faculty were always well-attended and, by all accounts, he relished the teaching experience. Moving to Iowa was a kind of Midwestern homecoming. Rose was born in western South Dakota in 1926 and raised during the Depression on a ranch on the Cheyenne Sioux Reservation, modest beginnings that laid a foundation for a deep sense of empathy and compassion. In the spring of 1944, he dropped out of high school to join the Navy and serve in the South Pacific during World War II. 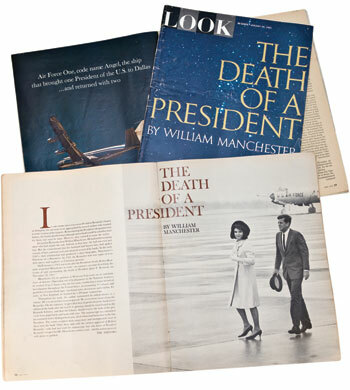 PHOTO: THE DALLAS MORNING NEWS If a magazine or newspaper published a story about JFK, Rose kept it—including this 1967 issue of Look magazine, featuring William Manchester's controversial book. Following his discharge in 1946, Rose obtained a GED and attended Yankton College in Yankton, S.D., where he met Marilyn Preheim, who worked as a medical tech student at a nearby hospital. "My family was Mennonite, mind you, and here I come with this ex-submariner, cigarette-smoking cowboy with no money," recalls Marilyn, 74MA, 82PhD, who went on to earn two UI degrees in anthropology. "But I found him so interesting; he was a real intellectual with high ethical standards and a wonderful sense of humor." Earl and Marilyn were married in the Mennonite Church in July 1951 and went on to raise six children. Rose attended the University of South Dakota, where he studied medicine, later earning his medical degree from the University of Nebraska at Omaha in 1953. The Roses made several more moves for internships and subspecialty work before moving to Dallas, where Earl also earned a law degree from Southern Methodist University while working as medical examiner. The Roses made Iowa City their permanent home, enchanted with the college town and their charming Arts & Crafts house on leafy Court Street. As in so many of the places he worked, Earl garnered colleagues' respect for his intelligence and fairness—although he never hesitated to share blunt and unpopular opinions at department meetings. He was meticulous and thorough and sometimes talked in parables that could be difficult to decipher, but he developed a reputation as someone with a kind heart who always spoke the truth. At Iowa, Earl didn't discuss his ties to the Kennedy assassination. Although his colleagues found out eventually, they quickly got the impression he didn't like to talk about it—a boundary they honored. "I presented my own conspiracy theory one time and he changed the subject," says Platz. "I'm sure that was a painful experience for him and Marilyn, but he refused to let that define him or get in the way of his productivity. He had a fine career; he was a mentor to many people and an important teacher to many pathology residents. Iowa now has a state medical examiner and the UI employs two forensic pathologists; this is part of his legacy." Frank Mitros, another former colleague and now UI emeritus professor of pathology, says: "[Dallas] wasn't the most important thing about knowing Earl, not by any means." Still, the years in Dallas were hard ones that no doubt contributed to Earl's silence. He endured the negative portrayals and hate mail that labeled him an imbecile or an unpatriotic carpetbagger, using his ability to compartmentalize the violent, dramatic nature of his work as a way to move forward. "I never got the sense that it haunted him; he was always pretty cool and all-business," says Marilyn, still living at the Iowa City retirement residence where her husband spent his last years, surrounded by photos of their grown children, grandchildren, and Earl's ornate woodcarvings. "I don't think he talked because he couldn't prove anything and had nothing to prove. He'd done what he could." In 1992, amid fresh conspiracy theories stirred by the Oliver Stone movie JFK, Earl figured enough time had passed since that singular Texas afternoon. He agreed to share his recollections with the Journal of the American Medical Association for the historical record. In 2005, Earl was diagnosed with Parkinson's disease. The cruel condition eroded his fine mind and stole memories of his incredible journey, leaving friends and loved ones to do the remembering. Earl died last year at age 85. At the funeral at Iowa City's First Mennonite Church, the pastor honored his memory with an excerpt from the Book of Micah: "What does the Lord require of thee but to do justice, love mercy, and walk humbly." It was a quiet, dignified end to a quiet, dignified life—before and after Dallas. The Smithsonian Institution wanted the Earl F. Rose Papers, but the Roses gifted them to the places closest to their hearts: Iowa City and the University of Iowa. In 2005, UI archivist David McCartney happened to be giving a presentation at the Iowa City Senior Center about how to conduct historical research online. For his audience, the discussion quickly turned to how to manage all the personal albums, papers, and special mementoes of their long lives. Afterward, Earl and Marilyn Rose approached McCartney, who knew to some extent Earl's role during the Kennedy assassination. "It was one of those amazing moments of connecting history with an actual individual," McCartney recalls. "He mentioned he had these materials at home and asked if I'd be interested. My eyes got really big. I said, 'Absolutely.'" UI Special Collections received the bulk of the materials in late spring of that year, but McCartney didn't realize their gravity and scope until they were all processed by library staff. A detailed list of the contents, including a full transcript of Rose's interview with the Journal of the American Medical Association, his book of recollections titled Dallas: My View of History, and a personal memoir My Ana can be found here. "I miss Earl," McCartney says. "He was a thoughtful man with a delightfully wry sense of humor. I was so fortunate to have met both him and Marilyn. And our community is fortunate to have this rich collection." Many thanks to the staff at The Dallas Morning News for their help in obtaining these historical photos. The newspaper is running a yearlong series about the JFK assassination. For details, visit www.dallasnews.com/news/jfk50. Beginning with Gov. Bob Ray's Vietnam-era trip to Southeast Asia, Iowa is known for its humanity toward refugees. Campaign student volunteers experience the thrill of democracy in action. Social work students challenge their preconceived notions in a class about equity. Keisha Blain's syllabus project puts current events in perspective.